These are the last photographs taken of Mill Wood whilst still an agricultural field (1950-2016). Panoramic view of Mill Wood looking south. Panoramic view of Mill Wood looking north. 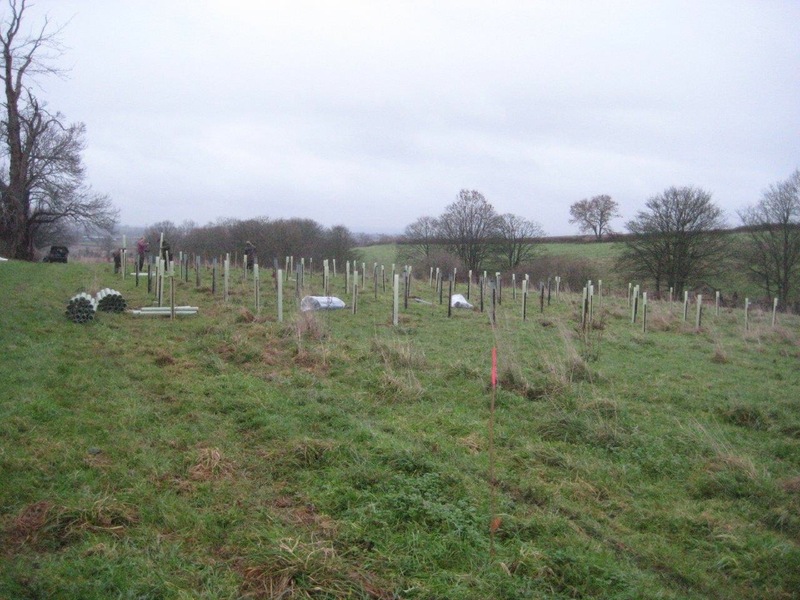 On Monday 18th January 2016 the work commenced to re-plant the lost forest of Mill Wood with 2750 Oak, 950 Beech, 250 Sweet Chestnut, 250 Wild Cherry, 200 Hornbeam, 20 Scotts Pine and 2 Abies Alba. The Somerset Gardens Trust has also kindly gifted a Zelkova Carpinifolia. 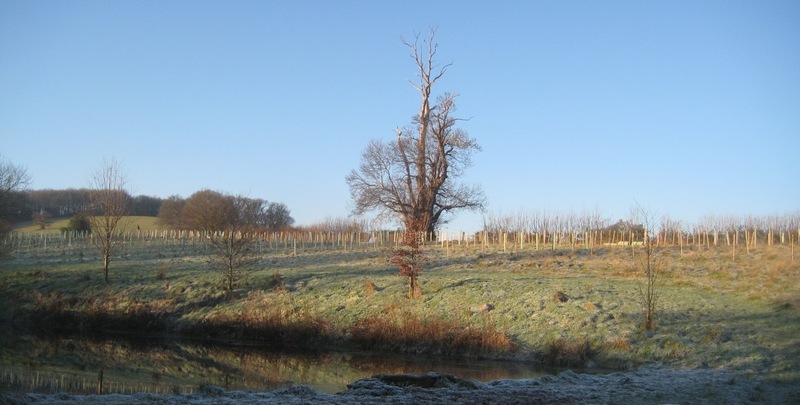 Thousands of the new trees planted beneath one of the few surviving old trees, a horse chestnut of c.1660. One by one the 4,423 trees are being planted, in addition to the few hundred that were recently planted for Edward Strachan’s 50th birthday. Simon Bonvoisin of the Nicholas Pearson Partnership has undertaken a long and careful study of Mill Wood. By referencing all published and unpublished material relating to the original layout, maps from 1756, 1771 and later Ordnance Survey maps he has been able to confidently re-create the planting in Mill Wood as it was intended in the eighteenth century. As well the tree species known to have existed here through this research, we have been also able to plot out the pathways with their very considered views and vistas. Some closed off and secluded, others open with views to the house or far flung follies like the Rotunda. The eighteenth-century layout of Mill Wood was an ingenious exercise in landscape design, controlling the visitors’ sensations using views, water, planting and follies. The arrangement of the trees was fundamental to the success of each of these distinct wooded areas as one progressed through the walks. The Druid’s Hut, built in 1756 (burnt down c.1968) at the south west of Mill Wood. 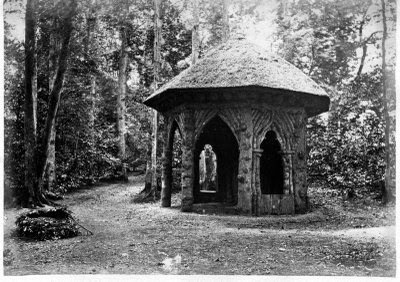 As this Victorian photo of the Druid’s Hut hints, the landscape was packed with hidden surprises which revealed themselves at intervals amongst the carefully selected trees and vegetation. The full history of Mill Wood and its wooded pleasure gardens will be told fully in other articles, but the celebratory story of the replanting of the historic area cannot be fully appreciated without mentioning its history and the tragedy of its felling in 1950. Its name was first recorded in the 1597 estate records because of the mill that stood here, probably from medieval times. Its history beyond that is misty but we do know that Neolithic people inhabited Mill Wood and its continuous use due to the ample fresh water supply is undoubted. Historic England records a horseshoe shaped Neolithic enclosure a few yards away in the adjoining field and many pre-historic finds have been made in within the boundary of Mill Wood itself. By 1756 Sir Charles Kemeys-Tynte transformed the area by augmenting its ancient trees with new planting: pathways encircled different zones of trees, each with their independent vistas and atmospheres, dams were built along with bridges, cascades and follies to create a renowned eighteenth-century pleasure garden. When the estate was broken up in 1950 this was tragically swept away. The mature trees of Mill Wood became a valuable asset to monetise and so within a couple of years this ancient, and latterly designed, woodland had been reduced to mud. 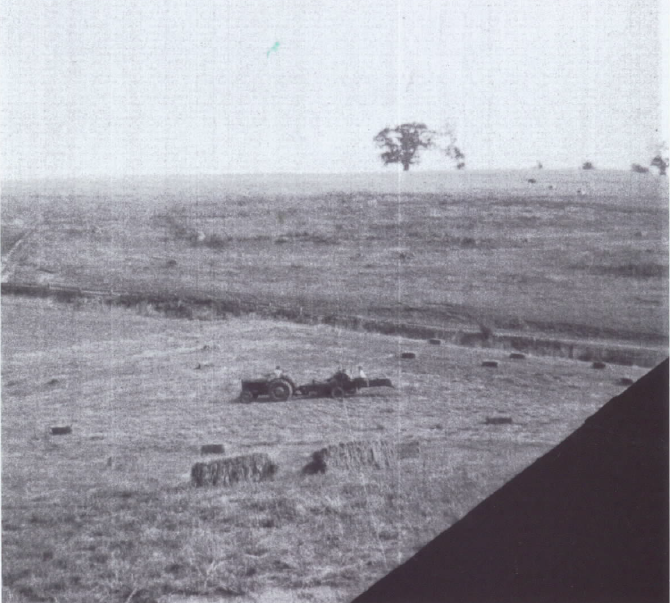 The stumps were blasted out and the area turned over to the plough. It remained in this state of agricultural use, both arable and pasture, until 2016. Although technically the wood will still be grazed by sheep until such time as the trees dominate the grass meadow over the decades to come. 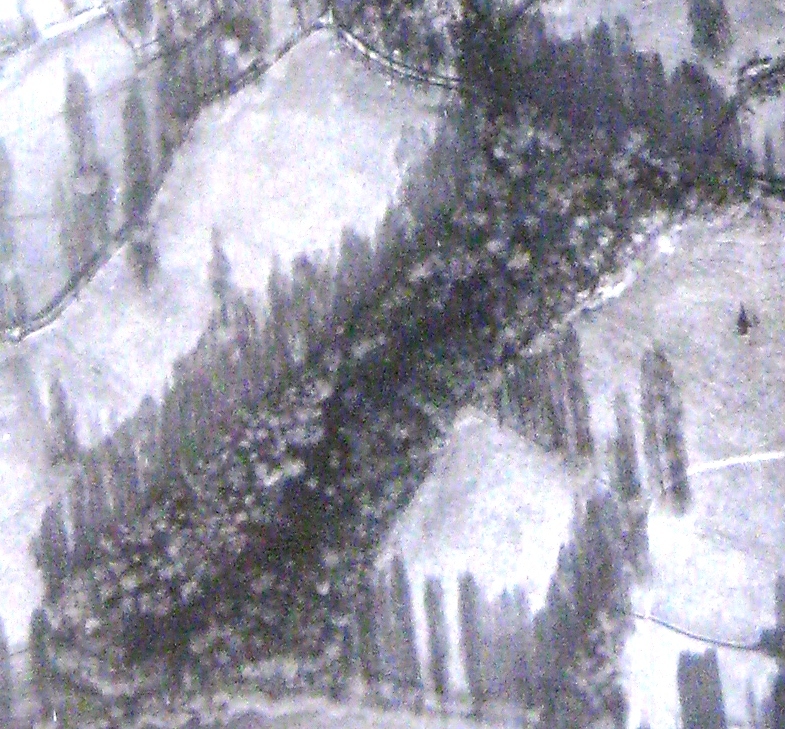 Mill Wood in 1944; fully populated with mature trees as intended. 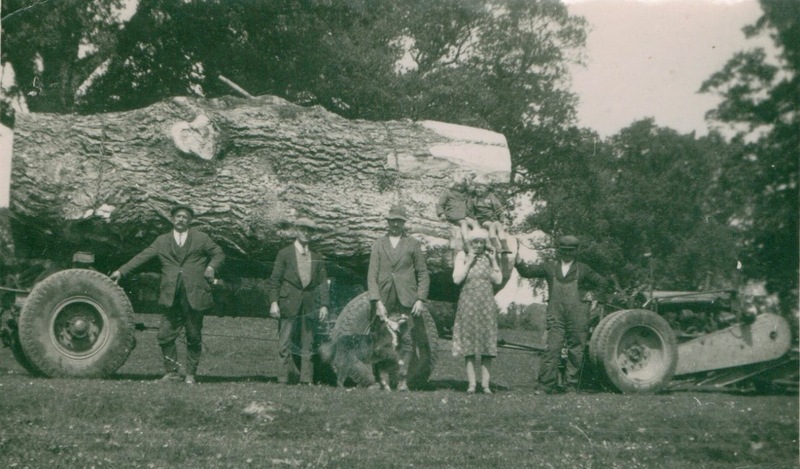 A portion of an ancient tree being carted away after the clear-felling of Mill Wood. In post-war Britain, after the break-up of the estate in 1950, the timber was by far the most valuable asset of the estate, the sale details record that the trees were sold for many multiples of the value of the house and parkland. 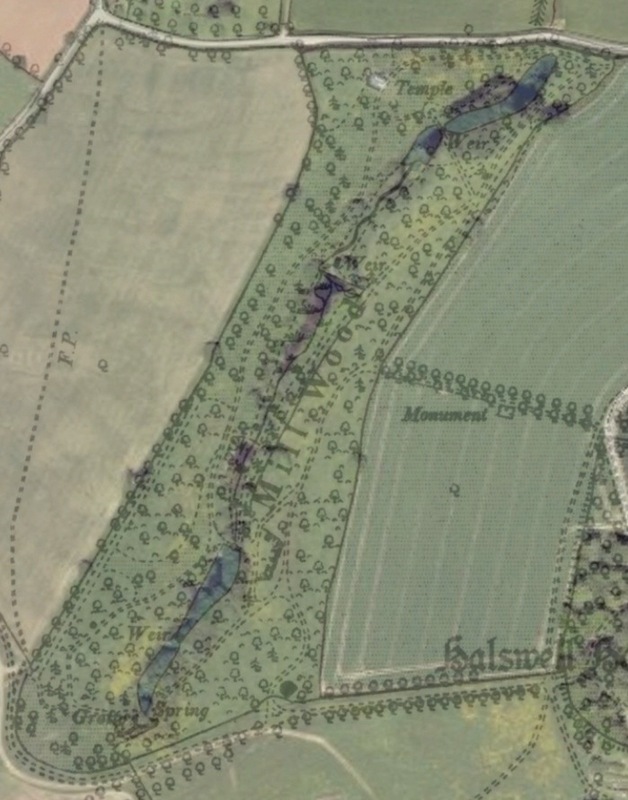 Mill Wood as seen by overlaying a 2015 aerial photograph with the 1897 Ordnance Survey map. These pathways through the woodland will be restored. 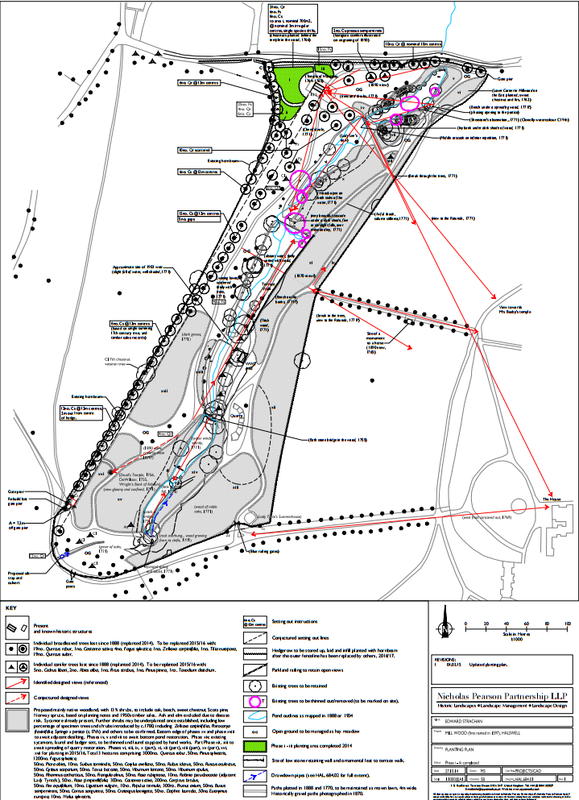 2016: The Mill Wood planting plan by Simon Bonvoisin of Nicholas Pearson Partnership which, within the areas of Mill Wood itself, is now being enacted in full. 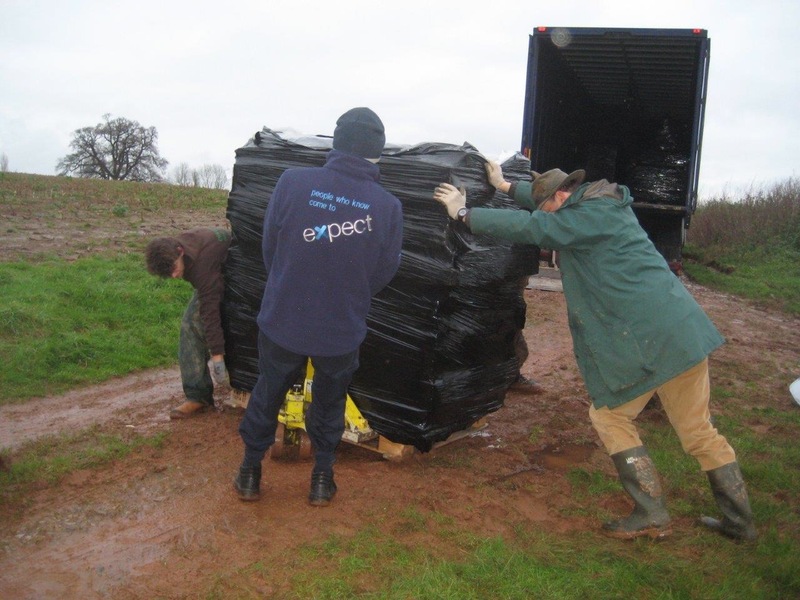 The delivery of materials and trees begins at the south side of Mill Wood, Monday 18th January 2016. 20 years after Simon Bonvoisin (far right) wrote his comprehensive study of the Halswell Estate and Mill Wood he finally gets the chance to put his back into its restoration. 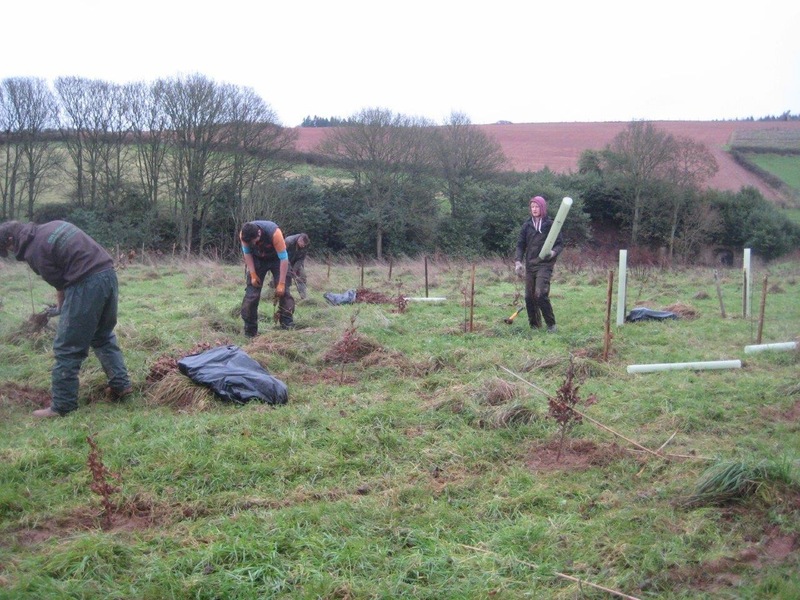 Securing the newly planted small trees from hungry wildlife with the addition of thousands of tree guards. Said wildlife! – The Mill Wood Mowers. Sheep and rams courtesy of Conor Doherty who is the resident shepherd at Halswell. 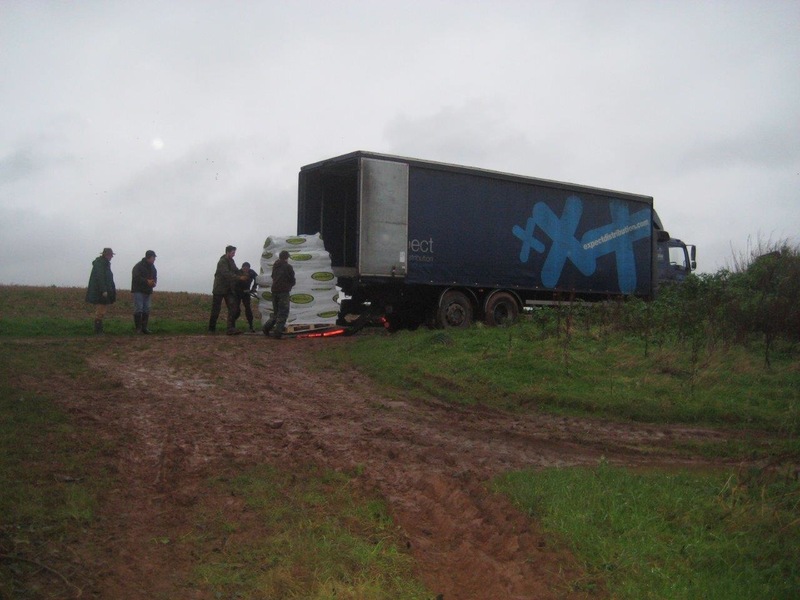 The appropriate management of the open areas of grassland in Mill Wood will also be a careful consideration during the restoration project. 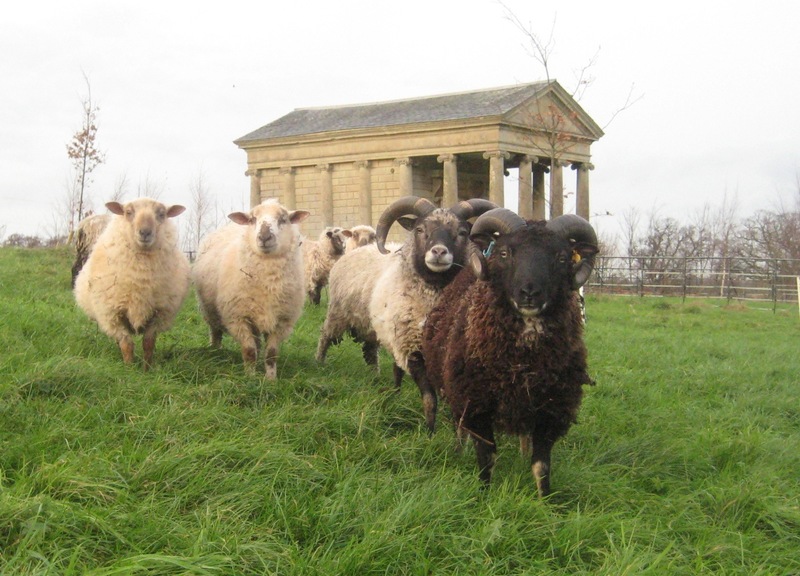 During the eighteenth-century the grass would have been grazed by livestock, quite probably sheep during the autumn and winter. From early spring it would have been allowed to grow on, providing the ‘waving lawns’ at Halswell described by Arthur Young (1741-1820) during his Young’s Eastern Tour. Arthur Young records that gentlemen farmers of the period might take two hay cuts from their land, using this as winter fodder for fattening Devonshire Heifers – each beast would produce 40s profit! The sheep in the above photo are a rare highland breed, kept at Halswell by Conor Doherty who with his family lives in one of the estate houses and tends to the land. These animals are helping to restore the old pasture and the low intensity method of husbandry should encourage the re-establishment of finer varieties of grass and native wildflowers. Thank so so much for planting these trees and for all the important and wonderful restoration work that you are doing. You are an asset to the county.